Philip Johnson, "Correct and Magnificent Play." Art News, LII (September, 1953), pp. 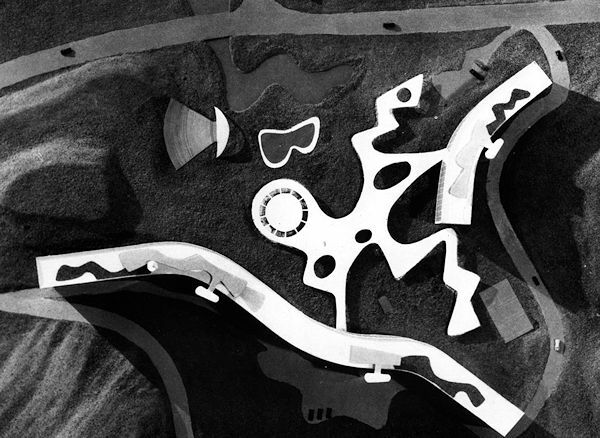 16-17,52-53. Review of Le Corbusier, Complete Works. V. 1946-1952. Carroll, Grisdale & Van Alen, Youth Study Center (Philadelphia: 1953), images: 2004.12.17. 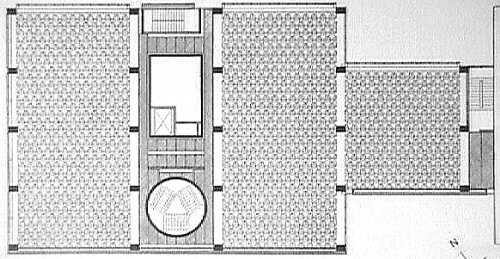 Louis I. Kahn, Yale Art Gallery (New Haven, CT: 1950-53), plan. 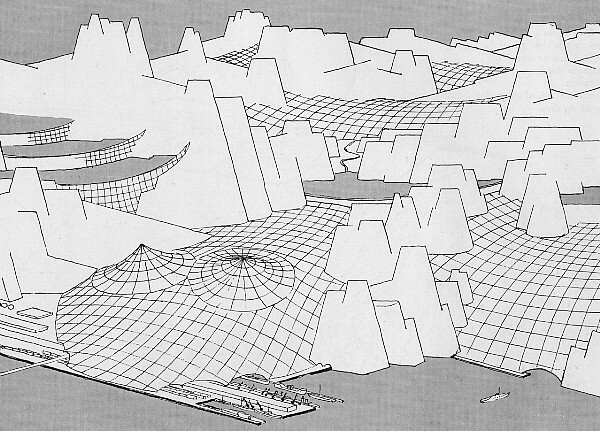 Frei Otto, Sketch for the roofing of a wide mountain valley with cable netting (1953). James Stirling, Sheffield University (Sheffield, England: 1953).